Lula Mae wants a puppy, but times are hard and all she has to work with is a bunch of chickens. Choosing the feistiest spotted chicken in the flock, Lula Mae names her Pookie, and clips a red bow onto her head to make her a "show dog." 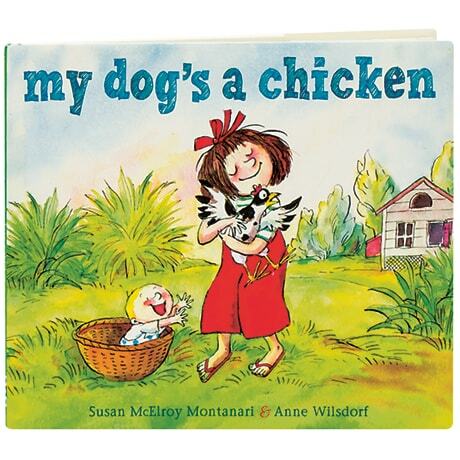 When the other chickens edge away from Pookie, Lula Mae proclaims her a shepherd dog, and when Pookie warns her about Cousin Tater's mean trick, that makes her a guard dog too. "Call it anything you like, but it's not coming in my house," insists Mama. But when Baby Berry goes missing, Pookie proves she's a valuable member of the family. Anne Wilsdorf's ink and watercolor cartoons capture the gleeful comedy in this tale of making do, for readers 4 to 7.